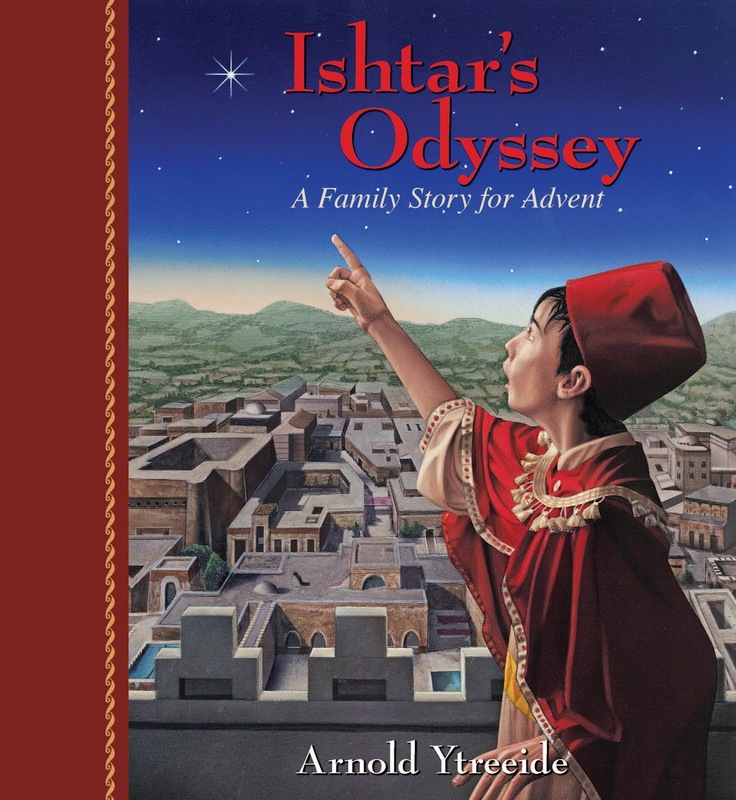 I don't recall at all when we first read through Jotham's Journey by Arnold Ytreeide as an Advent devotional, but it seems it was at least a decade ago. According to everything I see, it was published in 2008, though. So a decade isn't possible. Like so many other really great friendships, it just seems that these books have been part of our Advent lives forever. 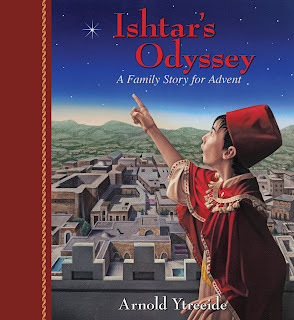 Ishtar's Odyssey by Arnold Ytreeide is the fourth title in this Advent series. If you've read Jotham's Journey, Bartholomew's Passage or Tabitha's Travels, you already have a pretty good idea as to what to expect. Fairly short daily readings for the entirety of Advent, with lots of cliff-hanger endings from day to day. The main narrative follows a child who is caught up in some aspect of the Christmas story, and that kid learns a thing or two over the course of the story in a bit of a coming-of-age series of events. Mostly, though, it is encountering Christ, the son of God, that transforms their lives. If you've read any of the sequels, you also know that the main character is going to encounter the kids (and other characters) from the past books as well. A bit of a formulaic approach, sure. But it still works. This story focuses on the magi, the wise men from the East. Ishtar is the rather pampered, self-important son of one of the wise men, and he isn't really a likable character at the start. It took a bit longer than I expected for my kids to care at all for him, but eventually you can't help but get caught up in the story. I think it is probably best to read these stories in order, but you do not have to have read the other three to enjoy this newest one. This is a wonderful Advent tradition. With Advent starting in just over a week, you still have time to obtain this and start in with this for your family. OOH...I'm looking for something for Advent. We're a few days into this one and already loving it. A bit predictable at times, but still a great Advent tradition for our family, especially for the youngest child who doesn't remember the past readings.